THE good times are back at Ponteland Market — and it will soon take place every week to meet soaring demand. Six months ago, the market was facing an uncertain future, with the number of stalls dropping at one point as low as three. The sorry situation called for drastic action and Markets Officer Keith Gray, who took over responsibility for the event, did not shy away. The farmers' market was dropped in favour of a retail market, the day of the monthly event was changed from a Saturday to a Friday and it was moved from Ponteland Memorial Hall to the Merton Way shopping precinct. Trade quickly began to pick up and now the market regularly boasts 16 stalls, with customers returning in their droves to take advantage of its offers. In fact, the response has been so positive that from the end of March, the market will be held weekly. Mr Gray said: "It is going absolutely brilliantly. "Obviously through November and December it was terrible because of the weather, but it was the same everywhere, and having said that, the market has picked up. "There are now 16 stalls compared with July when there were only three, and from March 25 it will be on every week because the traders and the public have asked for it. We are reacting to customer demand and trader demand. It is a big success story." Most of the resident businesses in Merton Way are delighted with the increased footfall the market has brought and one has even started acting as an informal information point for customers. "I do think moving the market's location has helped because it is now where people will use it," said Mr Gray. "There has been a fair bit of feedback from businesses in Merton Way and one of the cafes down there is acting like a central point for it, with people phoning up to ask when the market is on. Of course, that won't need to happen from March 25 because it will be on every Friday. "Changing the day has been highly successful because Friday is the busiest day for shopping. "It suits the public because they do their local shopping on a Friday and then go somewhere else and do other things on a Saturday." 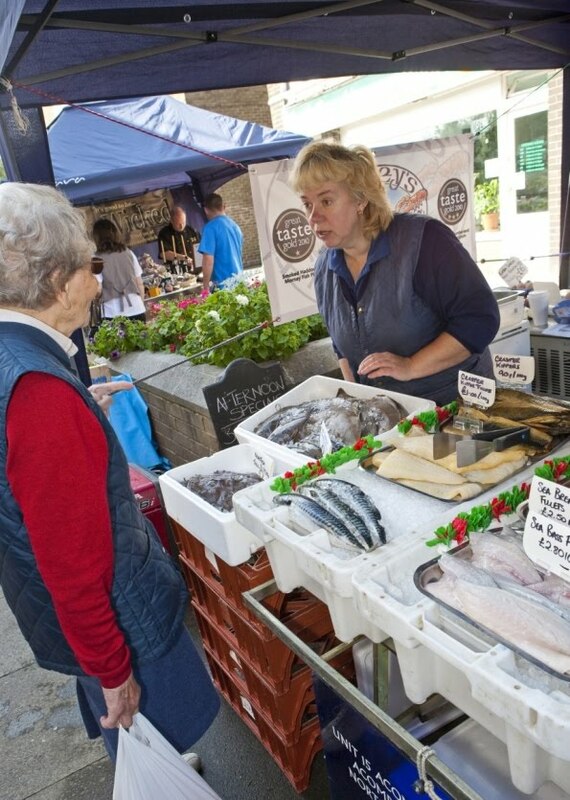 The market is run by Northumberland County Council. Stalls include plants, clothes, cards, pies, cakes, jewellery, scarves, chocolate and meat. There is also a pet stall and wood carvings. The next market will be held tomorrow, followed by markets on February 25 and March 25 before the move to a weekly event. For more information, or to apply for a stall, contact Mr Gray on 01434 652419.